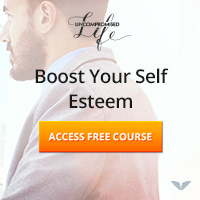 I stumbled upon this program recently that’s created by Marion Neubronner which she has prepared along with Alvin in order to help people to find their peace of mind while pursuing their life goals successfully. In this the amazing you review I will be providing my honest opinion on this product so that you could make a well thought buying decision. First of all, I want to say “please don’t believe in the promotional videos of this product” because in that case you will feel like you have accidentally ordered some other product later on. Yes, trust me, all I knew before getting the eBook was that I was about to learn something called the “brain gap” which is growing among people and this stuff works like smart drugs to fix that and allows people to use their mind’s true potential. Alvin says that the author of this book, Marion Neubronner who is a Harvard trained psychologist met him at an event, she taught him and his team something so life changing that they had to make it available for common people as only a few successful people were having that knowledge. 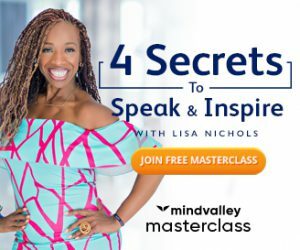 They claim that the program contains a few things like hidden mental taps for changing mood, happiness hacks and secrets for success that has helped thousands of people. Now, after hearing all that, if you are thinking that you will open this package to find a secret method to become happier and get successful, then you are going to be as shocked as I was because for a few minutes I thought I received something else which is not at all related to what I saw in the promotional video. That does not imply that it was not good or they betrayed me because I actually enjoyed the book and learned a lot of things from it. All I want to do using this review is to give you an actual idea about what you are going to get, but before that let me quickly tell you what materials you will be receiving. The main material of this program is an eBook which contains the information on various things you can do and lifestyle changes you can make so that you could live more happily. You will find various types of exercises and action steps in this book for which they have provided different worksheets that you can print out and use. Let me begin by telling you what exactly “the amazing you” book is, it is actually a case study of a person who is successful financially, but finds himself lacking in all the other areas of his life. His brother on the other hand is an average earning person who has learned to enjoy his life and be happy. So the whole book is all about how this guy learns from his brother and his friends who were introduced to some life changing lessons during their school days by their teacher in the detention class. The story is interesting, obviously it might be a fiction created by Marion to teach things in a way that you can relate to it and you will because the characters are so much like most of us and the way they solve their life issues has a lot to teach about how to deal with various life situations. So it can happen that you finish reading it and then realize “oh my god, this is what is needed to be fixed”. I really loved this way of learning; you will find it interesting and that will help you remember what has been taught. You will enjoy how the story unfolds so I don’t want to spoil it anymore, but this book is a lot about taking action and you will be asked to perform various exercises as you will read it, I would insist that you please follow it properly otherwise it will be of no use. What happens usually while reading other personal growth books is that we are introduced to various methods, but we don’t know how to apply them, so the purpose remains unfulfilled. Marion on the other hand has shown how the characters in her books apply those methods in their life, so it serves as a very good example for us. There is no “one secret special technique” in this book, but a lot of working ones which makes your mind think in a certain way and allows you to view things from a different perspective. Marion has given a straight and simple formula for balancing each part of your life, which will result in making you a happier person. That’s right, this book is not like the other ones that makes you dream of so many glittery things, instead it gives you a step by step instruction on how to set the goals and take the necessary actions to achieve them. This really makes me admire Marion’s work, she keeps happiness the first thing in her list, after all she a psychologist (yeah, from Harvard). The story tells you a little about all the great tools for personal growth like mindfulness, visualization, meditation, affirmations, but the techniques she suggests really makes you to think deeper and find out the missing pieces of the puzzle. According to what is taught in the program we all have different roles to play in our lives and if we don’t consider them altogether while taking decisions, things can go wrong. I was really moved after reading a few chapters, especially the one that she calls “self-actualization” where it is taught how you should choose your career/work/goals in a way that it not only fulfills your financial needs but also the psychological needs. There this one exercise on distributing time which helped me to free a lot of time for things I love to do by making small changes here and there in my lifestyle. One method that you can use from this book to make some serious changes in your life so that you could live more happily and successfully is something which she calls “the wheel of consciousness”. You get a PDF download to print out for doing this one. The story teaches that motivation plays a crucial role in any endeavor, and I agree to that because my online business worked out as my passion for personal development motivated me. What if we could know beforehand if we will find motivation in pursuing any particular goal? Well, there is an exercise in the book which will help you with that. I really liked the thing about this program that it shows how our limiting beliefs makes us to stay inside the prison created by the mindset of our society and how essential it is to break that barrier if you are willing to achieve something big. Present moment awareness and gratefulness is the theme of the final few chapters, which tells you how your life can transform when you learn to stay focused, I know many of you must have already learned about it in many other books but viewing it in the story mode makes a lot of difference. Overall, I would say that I enjoyed this book a lot and I liked the story as well as all the exercises. I must say that I learned a few things in this book which has helped in making some very beneficial decisions and I would like to revisit it from time to time whenever I need some inspiration. However, I don’t find it justified that this program is priced so high because there is not enough material in the package for which you can pay that much. The information can be life transforming for those who are willing to act on what they learn from it, but I would advise you to buy it only if you can make the product worthy of that price by making proper use of it. To know more about this product, you can visit the product website.